Procedures for students who are new to FCPS and will be attending Centreville Elementary. 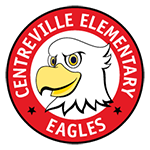 Learn what resources FCPS and Centreville ES have for military families. Our parent liaisons provide an essential link between our families and our school.